Sprite and Fandango have teamed up to giveaway 400 $25 Fandango gift cards in this Sprite Holiday Fandango Instant Win Game! They’ll giveaway 50 per week for a grand total of 400 gift cards. Description: Coca-Colas Sprite Holiday Fandango Instant Win Game is giving you hundreds of chances to win free movie tickets. Enter and you could be one of 400 people to win a $25 gift card to Fandango to use to see your favorite new movie. 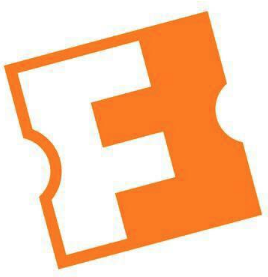 400 will win a $25.00 Fandango digital gift card. Enter a Sprite product code or scan a participating sip & scan icon for your chance to instantly win 1 of 50 weekly $25 digital Fandango gift cards. You can enter daily for your chance to win the Sprite Holiday Fandango Instant Win Game! Ends December 28, 2018. Good Luck! There are multiple ways to play, if you are eligible. 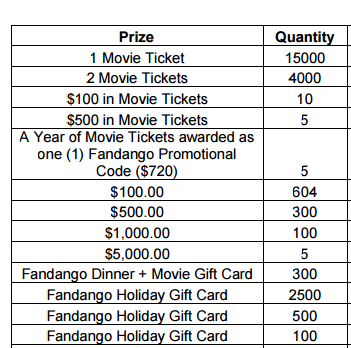 INSTANT WIN PRIZES-(400) A $25 Fandango Digital Gift Card for online purchase of movie tickets. 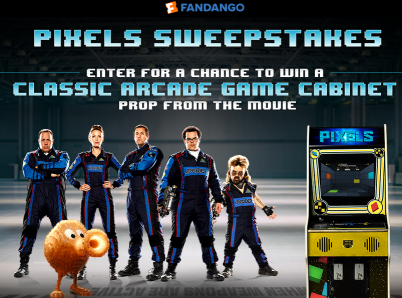 fandango instant win game Sprite has teamed up with fandango to bring you a chance to win this holiday season! Now through the 28th of December, enter a Sprite product code or scan a participating sip & scan icon to enter the Holiday Fandango Instant Win 2018.